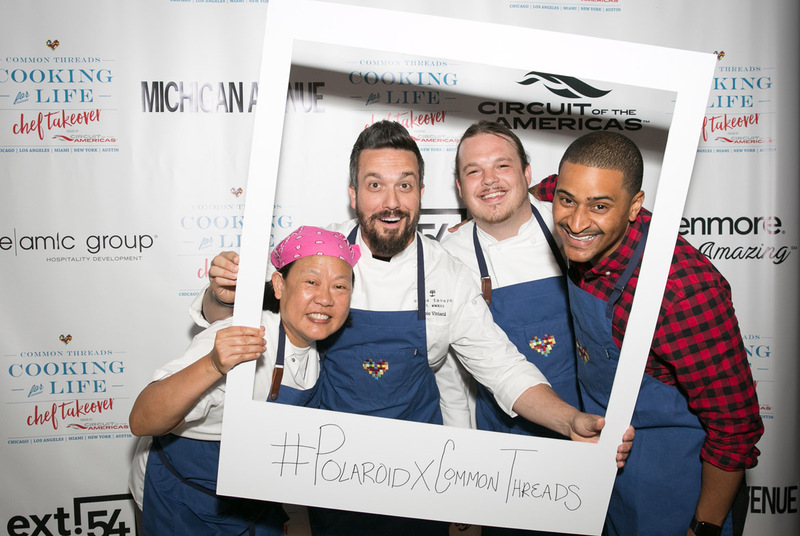 Chef Anita Lo, Chef Fabio Viviani, Chef Brad Kilgore, and Chef JJ Johnson with the #PolaroidxCommonThreads Polaroid frame at the opening event in Chicago. There are few things as comforting as good food and good company. The organization, Common Threads, started by celebrity Chef Art Smith, artist Jesus Salgueiro, and CEO Linda Novick O'Keefe, is committed to ensuring that all children around the United States have access to both of these comforts that are so often taken for granted. Through a variety of in and out-of-school programs, Common Threads provides family-centric and hands-on education to children, their families, and teachers about to how to cook healthy meals with available resources on a budget while celebrating global food culture. This year, we partnered with Common Threads to help capture and bring awareness to their Cooking for Life Chef Takeover Fueled by Circuit of The Americas pop-up dinner series. 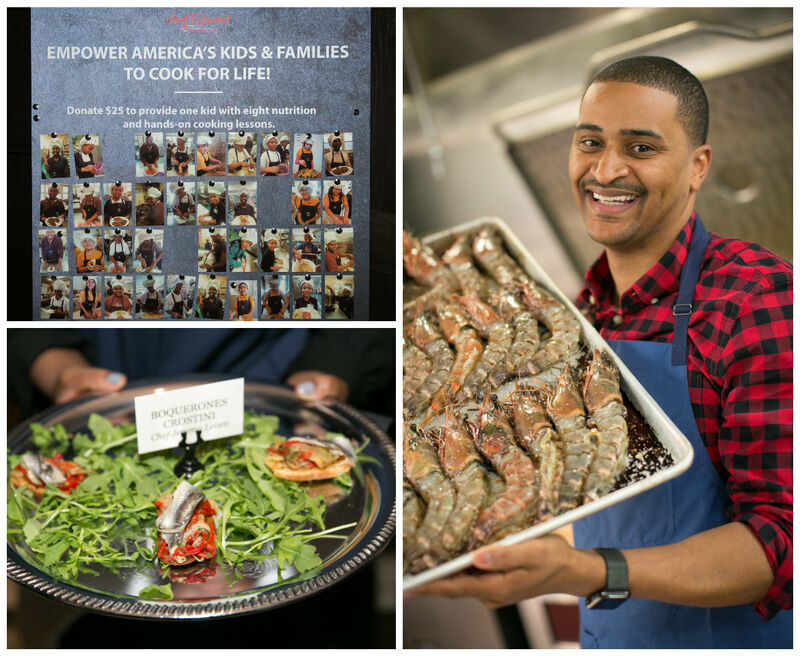 These five events in Chicago, Los Angeles, Austin, Miami, and New York are hosted by groups of renowned chefs and raise money for the Common Threads programs that bring health and wellness to children, families, and communities across the U.S. through cooking and nutrition education. We provided Polaroid Snap Touch instant digital cameras and Polaroid Cube+ cameras for chefs and attendees to photograph the events and programs in order to spread the word about this outstanding organization. The Polaroid photo wall at the Chicago event featuring portraits of students in the Common Threads programs, dinner delicacies, and Chef JJ Johnson preparing a portion of the incredible meal. So far, the dinners in Chicago and Los Angeles have been stunningly beautiful successes. And we are sure that the next three will be as well. Tickets for their Miami Chef Takeover dinner go on sale June 26th and if you want to attend Chef Takeover New York or Austin, or are just interested in learning more about Common Threads programs, check out their website. Or be sure to follow them on Instagram or Twitter to stay up-to-date about all of the Common Threads happenings. 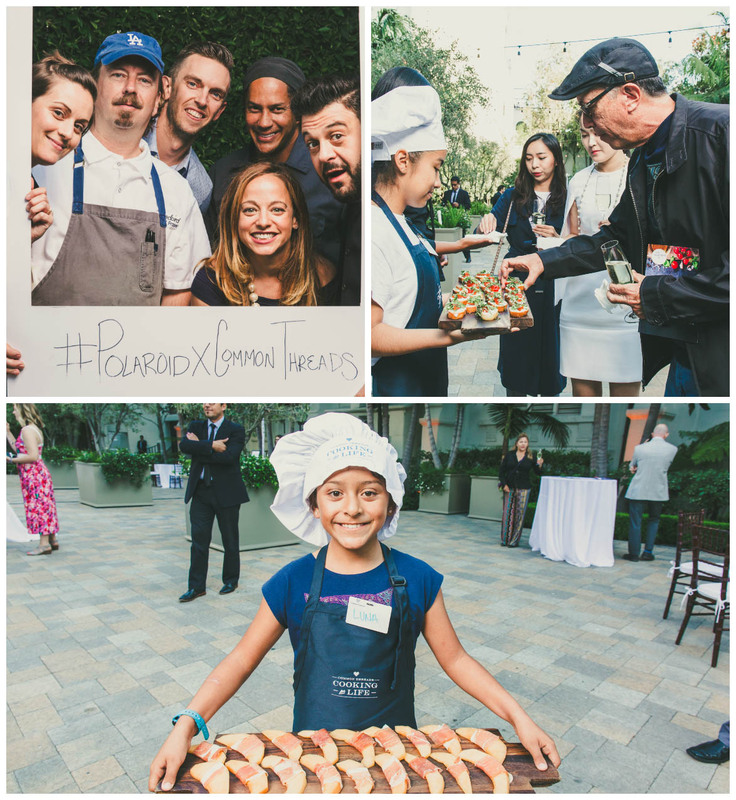 Chef Amanda Rockman, Chef Neal Fraser, Chef Travis Strickland, Chef Govind Armstrong, Adam Richman, and Common Threads CEO Linda Novick O'Keefe gather at the #PolaroidxCommonThreads frame in L.A. Attendees taste appetizers prepared and served by chefs and Common Threads students.